Tonight I made a beer can chicken for the first time on the Big Green Egg. I’ve been on a grilling hiatus since December 31st. For some reason that I’m not aware of I have been taking a break… Glad to be back. 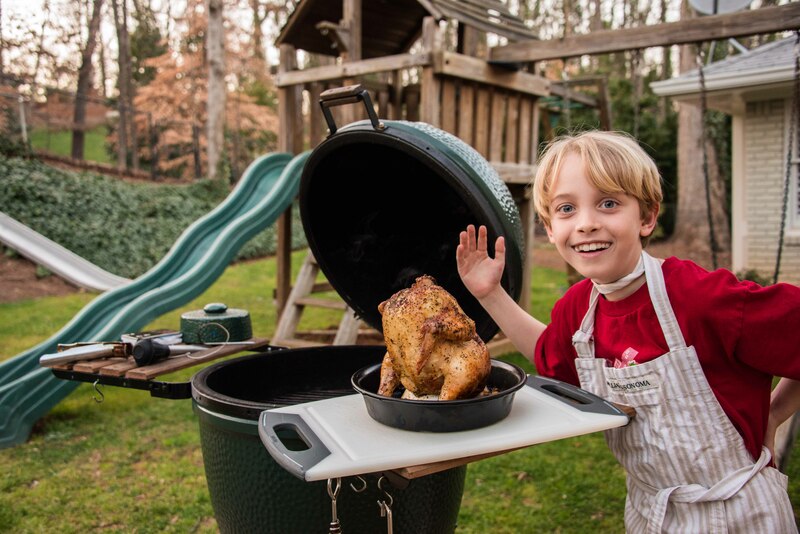 I used several BGE toys for the first time including the sittin’ chicken, iGrill and some of my new tools that I got for Christmas. It was pretty easy; I simply rubbed the chicken with lemon pepper from the Fresh Market, filled the sittin’ chicken with a beer, put the chicken on top and stuffed the neck with some quartered onions. I cooked it on the Big Green Egg for about an hour and a half at 375 give or take. The iGrill was awesome and totally eliminated the need to open the egg while it was cooking. My phone went off when the temperature was 170 degrees and we were done. It was simple and the taste was amazing. I was not expecting the boys to eat it, but they devoured it! When we were done at the table they both went to the counter and picked the chicken apart until it was gone. The chicken cost $7.94 at the Fresh Market… now that’s money well spent. This was a very simple recipe as I didn’t want to get too involved the first time through, but the flavor was right on with so little effort. There are more extravagant rubs that will probably make it even better, and you have to think a different beer could enhance the flavor as well. We shall see.